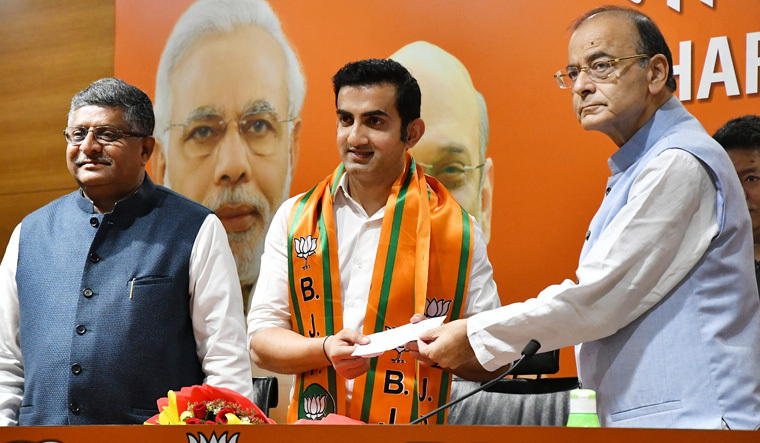 NEW DELHI: Former Indian batsman Gautam Gambir joins Bharatiya Janata Party (BJP) on Friday. The former opening batsman retired from cricket in 2018. Indian media reported that Gambir will contest on BKP’s ticket in the upcoming Lok Sabha elections. He will be contesting from New Delhi. Many Indian cricketers joined politics after retiring from International cricket. Navjot Singh Sidhu, Mohammad Azharuddin, Praveen Kumar, Vinod Kambli, Mohammad Kaif and many other cricketers have joined politics. Gambir cricket career come to end in 2018 after playing 58 Test matches and 147 One Day International’s (ODI) for India. He scored 20 centuries in his career.